By Dr Robert Anthony PHD. Take a trip to any jail or prison and you will meet hundreds of people who will tell you they are the "victims" of their circumstances. Travel through any big city ghetto and you'll hear the same thing. Visit any affluent, high-class neighborhood, talk to the people there and you'll discover the same thing. Visit a middle-class neighborhood in New York, Toronto, London or Sydney and you will meet people who believe they are the result of their circumstances, good or bad. They will talk about the opportunities they were given, or the chances they were denied. They may be grateful for the education they were exposed to, or complain they were denied the education they deserve. One person will tell you about her wonderful childhood and upbringing was, while another will complain that she came from a "dysfunctional" family. There is no denying that income, status, education, upbringing, neighborhood, family and many other situations will influence, effect and even determine the outcome of our lives. But who creates the circumstances? Your parents? Your environment? God? Destiny? Lost in all this analysis and the assumption of almost every unconscious person I have ever met is this one very important reality. The effect of our thoughts ABOUT our circumstances. We cannot change what happened to us, but we can change our PERCEPTION about what happened to us. This is the key to changing our present circumstances and our future. Our minds are like a garden. We can intelligently cultivate our garden, or we can allow it to run wild. If you diligently attend to your garden, it will produce the things you cultivate. If you don't plant specific seeds, then the animals, wind and other elements will cause RANDOM things to grow which will likely to choke out the things you want to cultivate from your garden. One thing is certain, SOMETHING WILL GROW IN YOUR GARDEN! Just as a gardener must tend his or her garden, keeping out the weeds, you must tend the garden of your mind, weeding out the thoughts of lack, limitation and negativity. If you practice gardening of this kind, you will soon discover that you are the gardener of your soul. You will come to the profound revelation that you are not the victim of your circumstances--but the creator of them. The reason is simple: Whatever you give your attention to and focus on shapes your character, creates your circumstances, and determines your ultimate destiny. What you experience in your life is directly connected to your inner state of mind. The most important thing you can learn about success, prosperity and happiness is that cause (thought) and effect (results or experiences) are one. But face this important fact - You don't simply end up in jail or the hospital, bankrupt, or alone no more than you simply wake up rich, successful, happy, and healthy. All these CIRCUMSTANCES are the RESULT of thousands of little decisions, which are reached as a result of the thoughts you give your attention to. Now, if you are like most people, this is the part where you start to mentally make excuses and argue with me. Perhaps you believe that what I just said is true for other people, but you are quite certain that you have been the victim of extenuating circumstances beyond your control. I know. I know. YOUR situation is different. So just how does that work? Let's talk about how all this applies to you. First, you must accept that on one level or another, you have manifested everything that is happening in your life. Even the horrific, nasty stuff. I agree that you don't do it consciously. But you do it. Now here's the thing . . .
You are surrounded by a data-sphere of information that promotes negativity, fear, anxiety, limitation, and lack. It pummels your senses from all directions. It comes from your TV, radio, the Internet, your friends, family, church and the people you work with. Most people are so saturated by negative programming that they can't even conceive a life of anything but struggle and complaint. What you read, what you listen to, and the people you talk with have a huge effect on the person you are and the thoughts you have. It not only comes from the media and other individuals but from the government. The doom, gloom and negativity that is perpetuated by the government is designed to appeal to the programmed fear of the masses in order to get re-elected. We elect and re-elect these people to *save and protect us* from the pending doom and gloom. If that wasn't enough, consider that the microcosm of our mass culture can be found in entertainment and even sports personalities. Most of these people are insecure, self-centered and only interested in their own 15 minutes of fame. However, they are not the problem. We are, because we are willing to spend countless hours and pay billions of dollars to watch them, mimic their lifestyles and even their manner of dress. You must recognize that this data-sphere is continually programming you 24/7, and that almost 95% of it is fear, lack and limitation programming. If you want to reach the highest levels of success, you have to zealously guard the input you allow to come into your life. You must control your own programming, and reject the poisonous stuff most people are trying to feed you. In order to focus on success, it is imperative that you spend more time on your own personal growth. Each morning and each evening before you go to bed, spend time on focusing on something positive. Want to discover more about how to begin creating and living your life by design rather than by default? 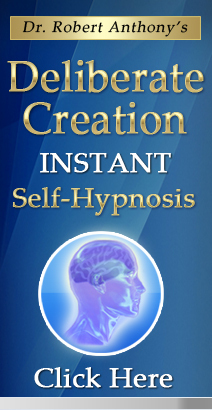 Visit Dr Robert Anthony's Secret Of Deliberate Creation website or check out the Dr. Robert Anthony Collection containing Dr Anthony's entire line of personal empowerment systems. As millions before have discovered, Dr Anthony's insight, wisdom, and direction can change your entire life and put you on the fast track to Real Success in life IF you'll allow it to. 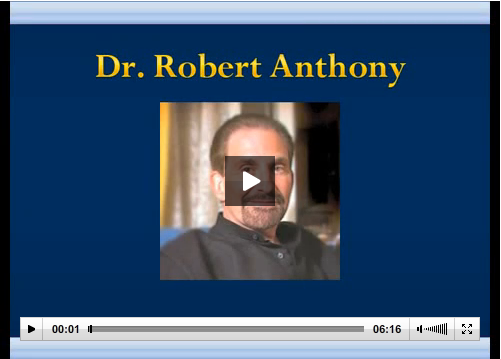 Dr. Robert Anthony is recognized worldwide as an "Undercover secret for some of the most successful people on the planet", and has impacted over ten million people worldwide through his seminars, books, and life enhancement tape and CD programs. 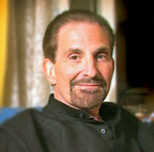 For the past 30 years he has spent his life unraveling the mysteries of the mind. During that time he has earned a Ph.D. in behavioral psychology from Pacific Western University and has worked as a psychotherapist, NLP practitioner, master hypnotist and personal performance trainer. You can check out Dr. Anthony's full bio here. 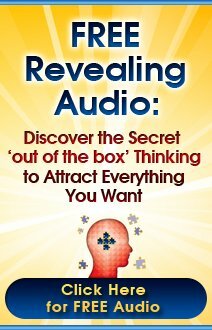 The Million Dollar Secret That Can Change Your Life . Overcoming Procrastination I How To Banish All Fear I How To Imprint Your Goals I The Top 7 Signs Of Self Sabotaging Behaviors I The Saboteur Within I The Secret Of Doing Without Doing I Three Spiritual Principles That Can Change Your Life I What Are You Afraid Of? I What Is Holding You Back? Each of the resources recommended in the How To Create Exactly What You Want article by Dr. Robert Anthony and throughout Abundance-and-Happiness.com has been personally tested and approved by the founder as a credible and effective means of accomplishing it's intended purpose. Any and all guarantees are handled through the company that provides the resource. Copyright © 2005-2012, Abundance-and-Happiness.com The How To Create Exactly What You Want Article and all content on Abundance-and-Happiness.com is strictly prohibited from copy, reproduction, electronic transmission or otherwise in whole or in part without the express written consent of the author and/or Enlightened Journey Enterprises. All Rights Reserved Worldwide.